Muskie fishing is not for the faint of heart. It is not generally a numbers game and requires A LOT of time on the water to develop the knowledge and grit that it takes to wrangle these monsters with consistency. This is not something that is easily explained or described. I can still remember the first Muskie I ever caught! I was 12 years old. And although the fish was not big, the pure adrenaline rush and sense of accomplishment that I experienced during and after the battle changed me forever. They are such a majestic and unique predator. Fooling them takes skill. And putting them in the net takes talent. Ryan Douglas Delahunt with a gorgeous fall monster taken on a Beaver. photo taken by Aaron Jolicoeur. Today’s Muskie angler is far better equipped that yester years. The rods, reels, line and tackle options are endless. Not to mention new and productive techniques that have continually bettered our odds of success. We now handle and release the fish in a much safer manner as well. Respecting the resource through knowledge and in turn these beautiful monsters continue to thrive. Over the years I have witnessed the development and success of many fantastic fish catching baits. Some of which were more of a novelty item than they were productive. It pains me to give this one away.. But I have come across a very unique bait that has once again changed my Muskie fishing world. And I am certain that the Muskie community as a whole will feel the same once they see and experience this thing in action. During November 2015 I came across a very unique looking product that at first glance may be brushed off by some as a novelty item. Not something that would really put fish in the boat, but perhaps something that would look good hanging up in the trophy room. Well.. I am here to tell you that this bait is a BIG TIME producer. The Company is called Beaver’s Baits. And yes you guessed it. They make a Beaver imitation type lure that drives the Essox crazy!! Beaver’s Baits is a small business situated in Big Lake Minnesota. Owned and operated by a gentleman named Brian Boyum. Each bait is individually hand crafted by Brian and his team. And as such each is quite unique. Brian took notice of a trend in the Muskie tackle market. That being most of the available baits resembled fish.. There were NOT many, if any at all, that represented an actual animal. Brian is a firm believer that Muskie and pike, mainly the larger ones, have at one point in their life, eaten muskrats, mink, squirrels ducks or any small animal that enters the water. They are after all opportunistic feeders. After some contemplation, He thought of a way to recreate the life like appearance of an animal swimming in the water.Once he had the bait completed he had to name it and since his nick name has been Beaver his whole life, he decided to name it after himself and that is how the Baby Beaver was born. The Baby Beaver is a new unique musky bait that has exploded on the scene catching many muskies in all regions. It is a blend of deer hair, rubber paddle tail, and a solid head with a screw in weight insert option to give you better depth control. The Baby Beaver is 12″ in length and weighs 3.5 oz of pure musky catching attitude. 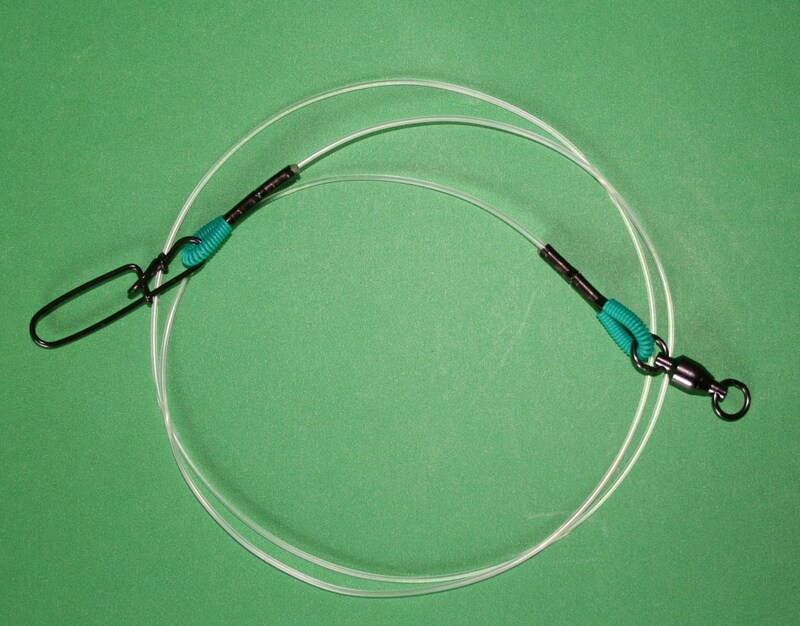 The bait is constructed of plastic with .051 wire molded into each segmented body piece. Each segment is hand tied with deer hair and connected together with split rings. 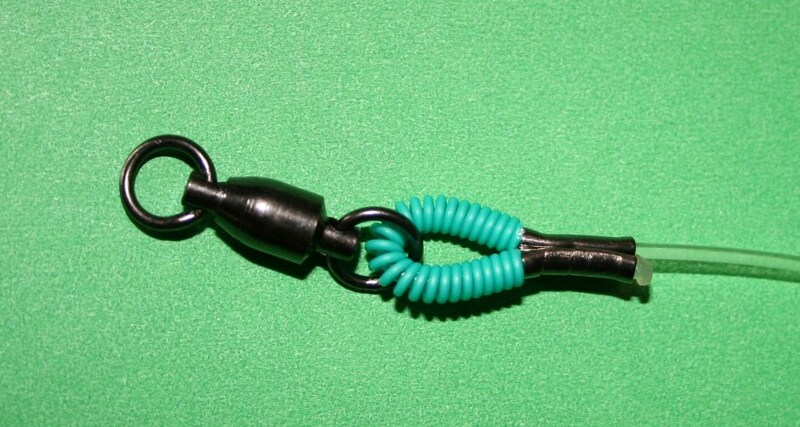 The rubber tail is molded onto the hook and is attached to the bait with a split ring making it replaceable. In my opinion, based on my experiences with the bait, it can and does catch fish at any point during the season. The angler imparts the action to the bait, and it’s buoyancy is controlled by the weight system allowing me to fish it fast, slow, or somewhere in between. It has the same appeal and fishability of a flashy bucktail, a large soft plastic bait, a Muskie fly, and a jerkbait all in one. I make it do what I need it to do in each given situation as the fish require. It truly is an all in one weapon. Ryan Douglas Delahunt with a THICK Beaver Muskie. Photo taken by Aaron Jolicoeur. ALL OF THE FISH IMAGES IN THIS ARTICLE WERE CAUGHT AND RELEASED IN THE KAWARTHA’S NORTHUMBERLAND REGION OF ONTARIO. COME SEE FOR YOURSELF! !